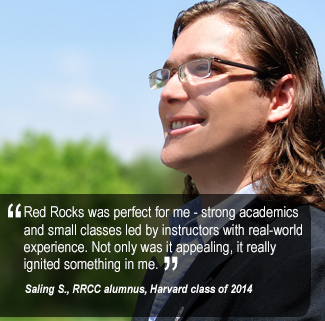 Red Rocks Community College offers an Associate of Arts Degree with an emphasis in History. The study of history is the analysis of cultures from the beginning of time to the present. History involves looking at cultures through the changes in social, political and religious institutions. Historians have traditionally used the written word as their main source, but increasingly also use art, artifacts, music and film to illuminate their subject. 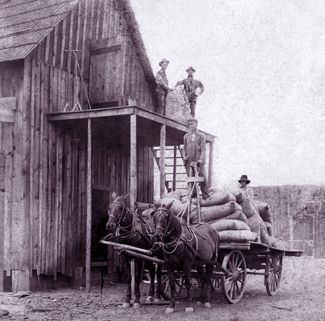 The Red Rocks History program approaches our subject matter from a multi-disciplinary stance, teaching through lecture, discussion and technology. Our full and part-time instructors are trained in American History, Western Civilization, Anthropology and the Humanities. In collaboration with Colorado 4-year schools, Colorado has developed a statewide guaranteed transfer program called "gtPathways" to create seamless transfer. Click here for a list of courses that are guaranteed transfer to any Colorado public college or university. This AA History Designated Degree will transfer seamlessly to Colorado public colleges or universities. The mission of the History department is to introduce students to the craft of the historian by teaching historic literacy through research and critical thinking skills. Central to this mission is introduction to the use of sources in construction and analysis of historic narratives. Students who successfully complete an RRCC History course are better prepared to function in academic and employment environments requiring History associated literacy, communication and analysis skills. Students will engage in reading primary and secondary sources including textbook. Students will engage in constructing historic narratives. Summarize, analyze, and evaluate historical sources to consider relevancy to research questions, currency, authority, audience, and bias. Incorporate source evidence into a historical narrative or analysis. Analyze ideas from multiple perspectives and articulate historical arguments. Identify, locate, evaluate, and responsibly and ethically use primary and secondary source information.